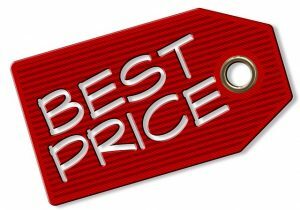 There’s a good chance that you’ve searched for pricing and packages on our site. No, it’s not that we’ve hidden it somewhere and you just can’t seem to find it. We have intentionally left the pricing information off of our website. If you’re wondering why we don’t advertise pricing online, then I would encourage you to continue reading. We believe that there are a few big reasons why we shouldn’t advertise our marketing packages and costs. We treat each customer as an individual, not a package. Our Digital Marketing Consultants want to get to know you and your business. Rather than placing you into a one size fits all package, we tailor packages to fit your business needs. We examine your market, your business, and your needs and create options based on our expert opinions. Before presenting our packages and pricing for your business, we spend quite a bit of time examining your current web presence, your competition, and your local market. We present you with options based on our in depth analysis of your business. TrustWorkz does all of the leg work for you. Since we are the experts, we want to present you with our opinions of what you should implement for your business. Depending on your business type, market, and holes that need to be filled, we create and present three marketing plans for you at three different price points. We will not provide services that you do not need, and we will not undersell you something that won’t perform. You can rest assured the option you choose will work for your business, as we guide you through the process. Publishing prices works really well for some companies, and not so well for others. It all depends on the customer experience that you want to create. Our family entertainment customers often find that publishing their own prices makes sense. We believe in building a personal relationship with our clients, which requires a different, and more custom approach. If you have been sitting on the fence about Internet marketing for your business, reach out to us and walk through a live website audit. Schedule an appointment today, and grab the attention of your local market.